North Korea is believed to have launched an intercontinental ballistic missile (ICBM) on Friday, according to the Pentagon and South Korean military, as quoted by local media. 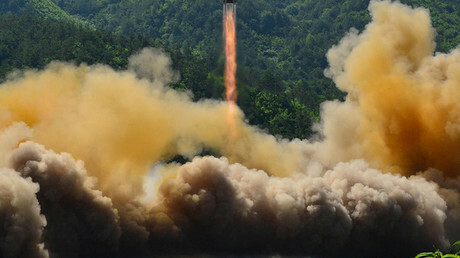 The Pentagon assesses that the latest launch by Pyongyang was conducted from an area in Mupyong-ni, with what is believed to be an ICBM traveling about 1,000km (621 miles). It landed in the waters of the Sea of Japan, the US military said on Friday. The same alleged flight distance is quoted by South Korea's military, Yonhap news agency reported, also saying that the weapon is believed to be ICBM-class. Officials claimed it reached an altitude of about 3,700km (2,300 miles). 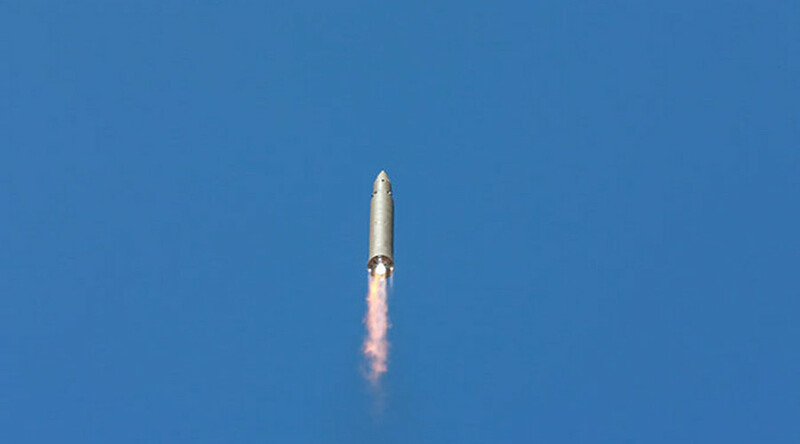 Earlier this month, North Korea claimed it had launched its first intercontinental ballistic missile, the Hwasong-14 ICBM, which reportedly flew 933km in 39 minutes, reaching an altitude of 2,802km. At the time, the Pentagon said the missile launched on July 4 was a new type that "we have not seen before." 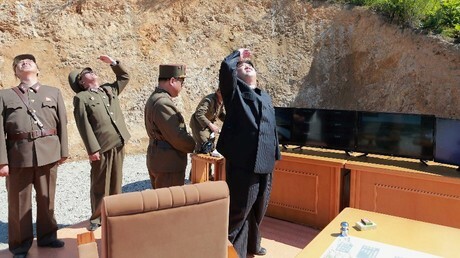 However, the assessment by the South Korean intelligence services stated that North Korea did not appear to have the technology to build intercontinental ballistic missiles or have testing facilities for them. Russia also provided evidence indicating that the missile launch on July 4 was a test of an intermediate range rocket. Having presented claims that the latest launch was an ICBM test, Seoul requested discussions with Washington on the deployment of additional Terminal High Altitude Area Defense (THAAD) units to South Korea. President Moon Jae-in ordered discussions to be held with South Korea's American counterparts, calling for more THAAD anti-missile defense units to be placed in his country, Reuters reported. Currently, there are two controversial THAAD units in its southern region. Following a national security council meeting, Moon also said he wanted the UN Security Council to discuss new and stronger sanctions against the North. Both Moscow and Beijing have previously urged the US and South Korea to reconsider the THAAD deployment to the Peninsula. Viewing THAAD as a threat to the balance of power in the region and as a direct threat to their national security, Russia and China have insisted on a peaceful resolution. The plan proposed by Russia and China calls for Pyongyang to freeze its nuclear and missile testing, while Washington would suspend its military drills with South Korea on the Peninsula. The White House released a statement in response to the missile launch, saying, "North Korea's test launch today of another intercontinental ballistic missile – the second such test in less than a month – is only the latest reckless and dangerous action by the North Korean regime." "The United States condemns this test and rejects the regime's claim that these tests – and these weapons – ensure North Korea's security," the White House added. "In reality, they have the opposite effect. By threatening the world, these weapons and tests further isolate North Korea, weaken its economy, and deprive its people. The United States will take all necessary steps to ensure the security of the American homeleand and protect our allies in the region."